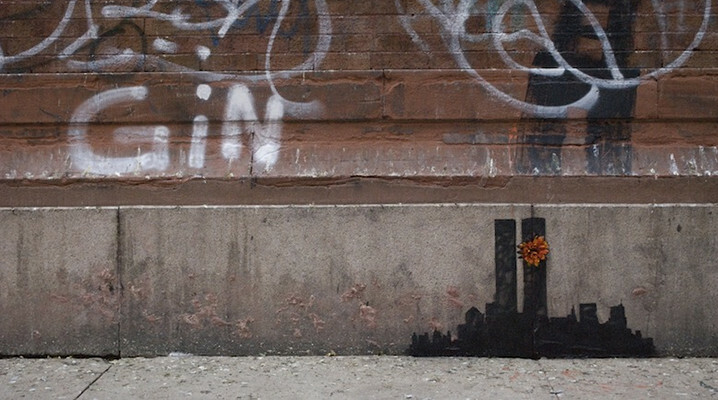 Each day in October brings with it the promise that Banksy will leave his mark on some new part of New York. 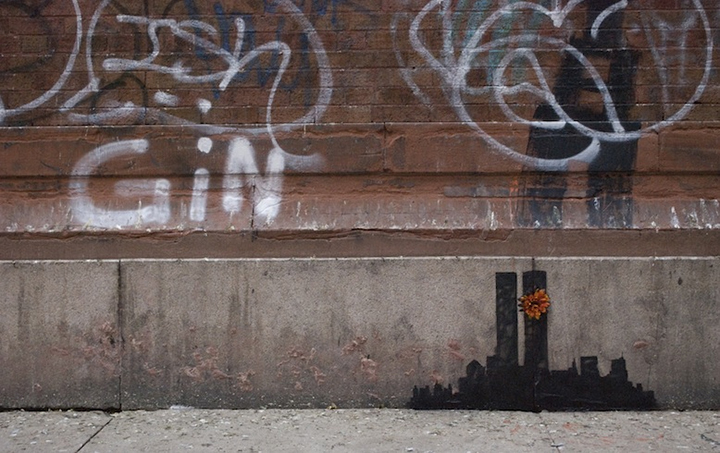 Today is Day 15 in his Better Out Than In street art installment series and finds Banksy re-imagining September 11th with a piece in the Tribecca neighborhood. 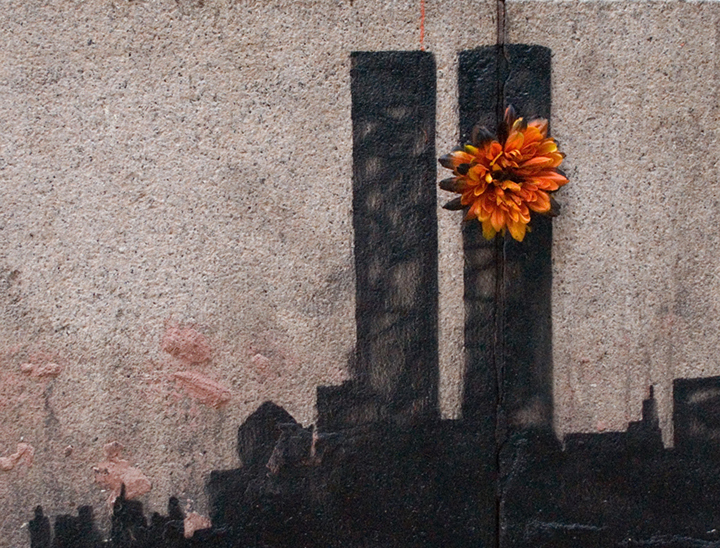 Mixing media, Banksy stencils the World Trade Center on the lower concrete part of a wall and inserts a flower into a crack in the wall that acts as the explosion from the first plane. Interesting choice of subject matter today given that we’re not in September. Will Banksy have a comment on the impeding government debt default? Only time will tell. 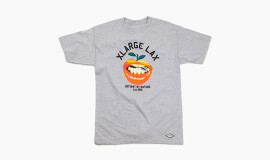 Check it out below and over at BanksyNY.